« Not much under S$50 here. Sorry! And some arbitrage on Grange. Now we’re starting to motor – some real deals here, a cracker sparkling shiraz, and a Top Ten in the World for less than $40 bucks! It wouldn’t be an Australian Xmas without sparkling shiraz. My all time favourite is still the 1985 Seppelt Show Reserve (I still have some for this year) but it’s getting a bit long in the tooth. Trying to buy decent sparkling shiraz in Singapore (as distinct from red lolly-water) can be a challenge. Not impossible, just a little hard at times. 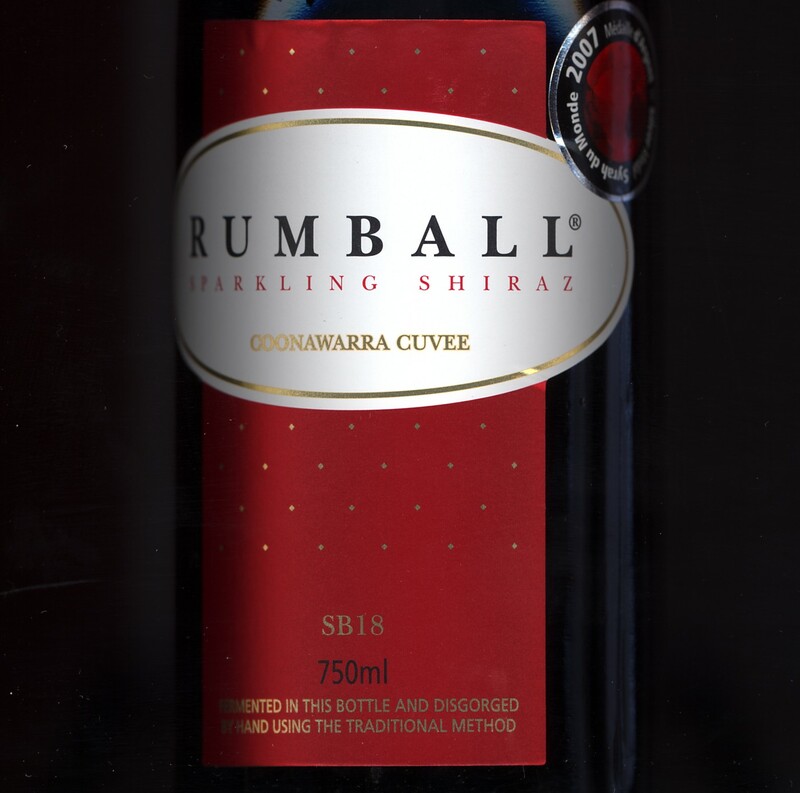 NV / Peter Rumball / SB18 / Coonawarra / Sparkling Shiraz / S$30 at Top Wines – Peter Rumball only makes sparkling reds, and for sheer consistency, they can’t be beat. If you’re from down-under, you probably know them already. Rarely rated, often enjoyed. No argument from me, I’ve ordered mine already. (Peter V, if only we’d known! – sorry mate) RRP of A$20 so the pricing’s right, but who cares! I can taste mine already. 2003 / Caledonia Australis / Gippsland / Chardonnay / S$49.50, or S$37 by the case at eWinesAsia. I only have one rating on this, and that’s Halliday at 94 points. I favourably reviewed it in an earlier blog when it was on sale at S$40.25. With a RRP of A$25, the single bottle price is a bit steep, but the case price is pretty good. Drinking to next year, 13.5% alc. 2008/ Cape Mentelle /Margaret River / Chardonnay / S$48 at Crystal Wines – Plaudits across the board – Halliday 96, Epicure 4.5, Gourmet Traveller Wine 96, Decanter 17. Drinking to about 2016, 2017. RRP of A$42 so S$48 is a good buy. 13% alc. 2009 / Pikes / Traditionale / Clare Valley / Riesling / S$29 at Wine Directions – Now here’s a real deal. Oliver 92, Halliday 94, and with a RRP of A$23, this is a great price. And you know how much I love Clare Valley Rieslings. S$29 for Pete’s sake! What are you waiting for? Drinking from about 2012- 2022, 12% alc. Each of these is available at Wine Culture – The 2001 is rated 96 by Jeremy Oliver and 94 by Wine Front and even though it’s the oldest, it’s the one that still has some legs. To 2014 according to Wine Front, to 2021 according to Oliver. The 2002 is rated 95 by Oliver, 93 by Halliday but definitely drink now. The 2004 is rated 92 by Oliver, 90 by Halliday, and also drink now, right now. No point in looking at the RRP which was around A$45-50 at the time of release. On-line in Australia, the 2001 is A$105, the 2002 A$85, and the 2004 A$70. That makes the pricing here pretty attractive, but the 2001 is the pick of the bunch in price, rating and longevity. 1998 / Tahbilk / Reserve / Nagambie Lakes / Shiraz / S$73 at Epsilon Wines – Jeremy Oliver gives it the highest rating at 95 points, Wine Front at 94, Halliday at 90. Drinking out to 2020 if averaging the raters. Hard to price this one retail as it listed at A$70 but it’s been around a while. There’s at least one on-line price of A$54, so assuming there’s no WET to get back (it’s old stock) the pricing looks OK. It’d cost you about S$83 to buy it retail on-line in Australia and ship it up. 2003 / Penfolds / Grange / South Australia / Shiraz / S$379 at Wine Exchange Asia – There’s still time to urge that this should be in your stocking. I won’t bore with heaps of ratings, just one. Oliver 96 points, drinking 2023 to 2033. This vintage initially listed at A$550 but is now on-line at A$465. If you’re into Grange, the price here will make your mates down-under want to re-locate. 2007 / Flametree / Frankland River / Shiraz / S$48 at The Local Nose – Interesting this one. The 2008 is an absolute stunner, but the 2007, apparently not. Wine Front gave it 86 points (4 star), WineEstate gave it 3 stars (ouch!) but Halliday gave it 90 points, bringing it into the 4.5 star range. The alcohol is high-ish at 15.5% but my real problem with this wine is the price. With a RRP of A$25, the price here of S$48 puts it a fair way outside the BBI. I’d say wait for the 2008, and wait for the price to come down. 2008 / Battle of Bosworth / McLaren Vale / Shiraz / S$39 at Crystal Wines – Who says raters don’t disagree? They sure do here. Jeremy Oliver gives this wine an unflattering 82 points (3.5 stars), James Halliday gives it 92 points (4.5 stars). If you believe Halliday, then this is a good buy. With a RRP of A$25, the price here of S$39 is absolutely spot on with the BBI. Drinking to about 2014, 14.5% alc. and see if you think it’s still ordinary! 2008 / Torzi Matthews / Frost Dodger / Eden Valley / Shiraz / S$45 at Wine Directions – A hard act to follow the Schild isn’t it? Sort of like Rubens Barrichello to Michael Schumacher. You might be good, but someone else keeps stealing your thunder. Well, this wine can stand on its own – 94 from Halliday, and 92 from Wine Front, drinking to roughly 2016, 14.5%alc. RRP of A$30 so S$45 is spot on the BBI.